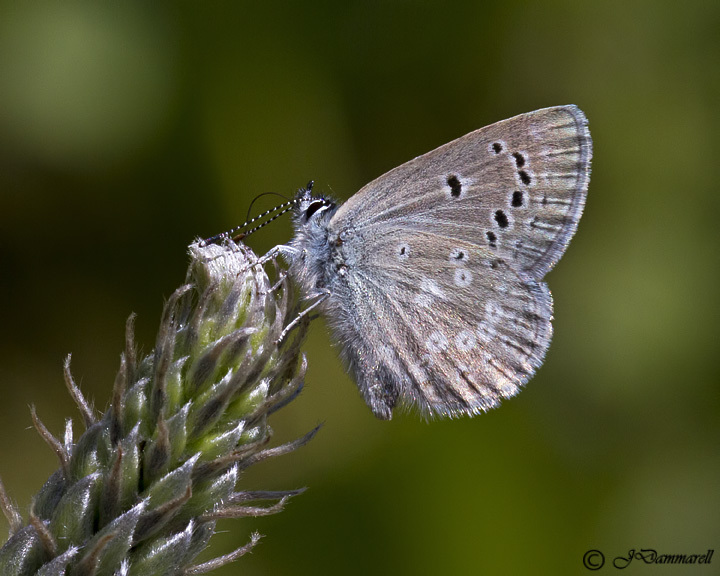 Identification: Upperside of male lilac-blue with dark borders. Female may be brown, or blue with wide dark borders. 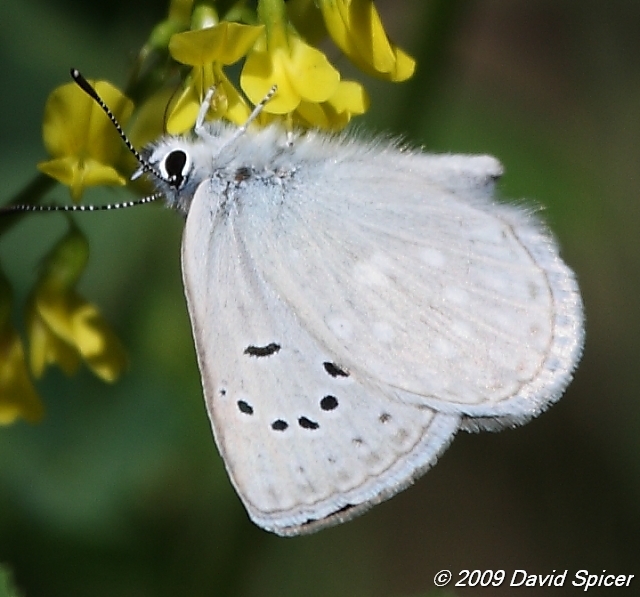 Below, black or white postmedian spots are larger on forewing than on hindwing. Wing Span: 1 1/8 - 1 3/8 inches (2.9 - 3.5 cm). 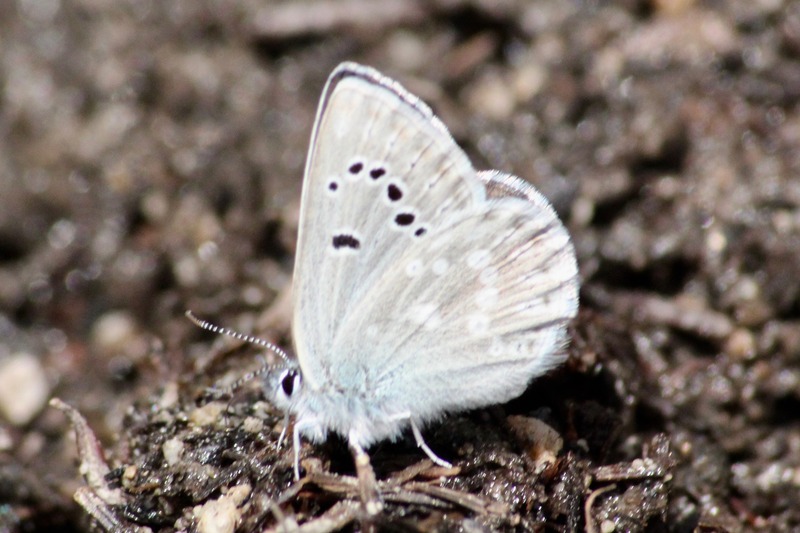 Life History: Males patrol during the day near host plants for females. Eggs are laid on new growth of host plants. Caterpillars feed first on leaves, then flowers and seedpods. Caterpillars produce a sugary secretion which is eaten by the ants that protect them. Second-stage caterpillars hibernate. Flight: April-August depending on location. 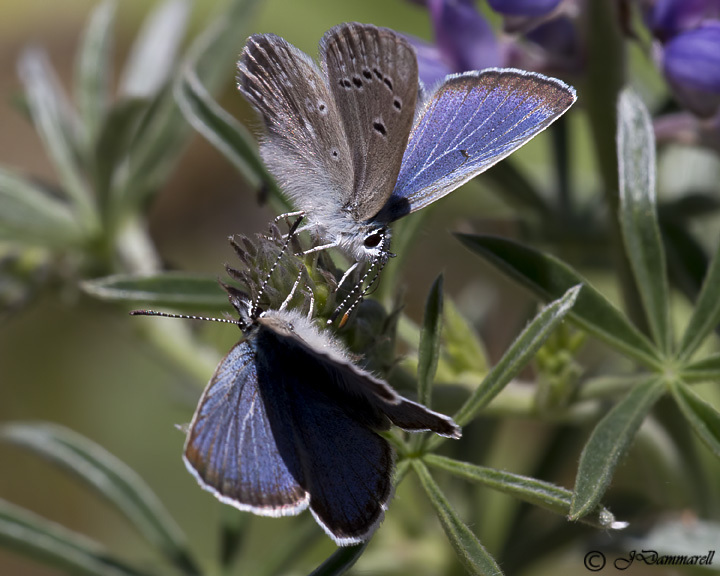 Caterpillar Hosts: Various lupine species (Lupinus) in the pea family. Adult Food: Nectar from flowers including Eriogonum and various composites. 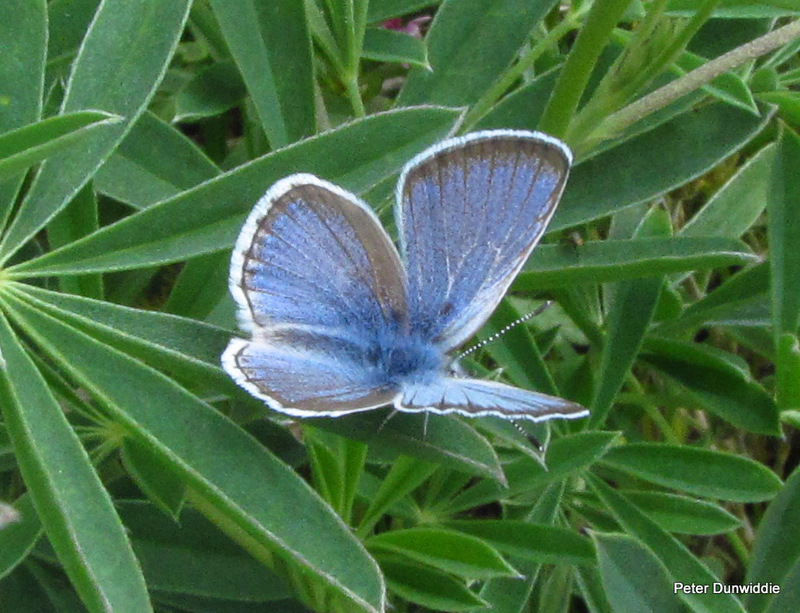 Habitat: Forest clearings and edges, prairie, sagebrush, chaparral, coastal dunes, fields. Range: British Columbia east to the western edge of the Great Plains, south to New Mexico, Arizona, southern California, and Baja California. 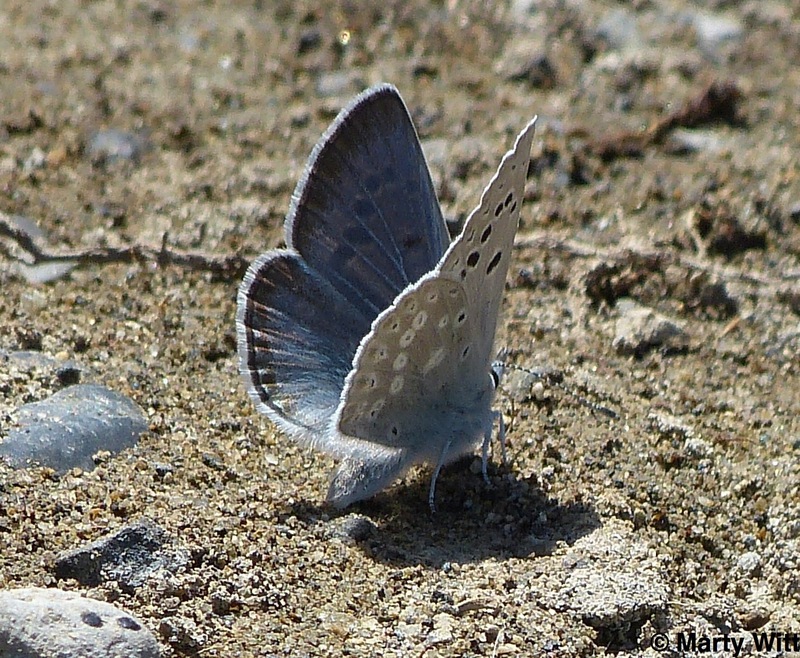 Conservation: The Mission Blue, subspecies missionensis, is endangered in California. 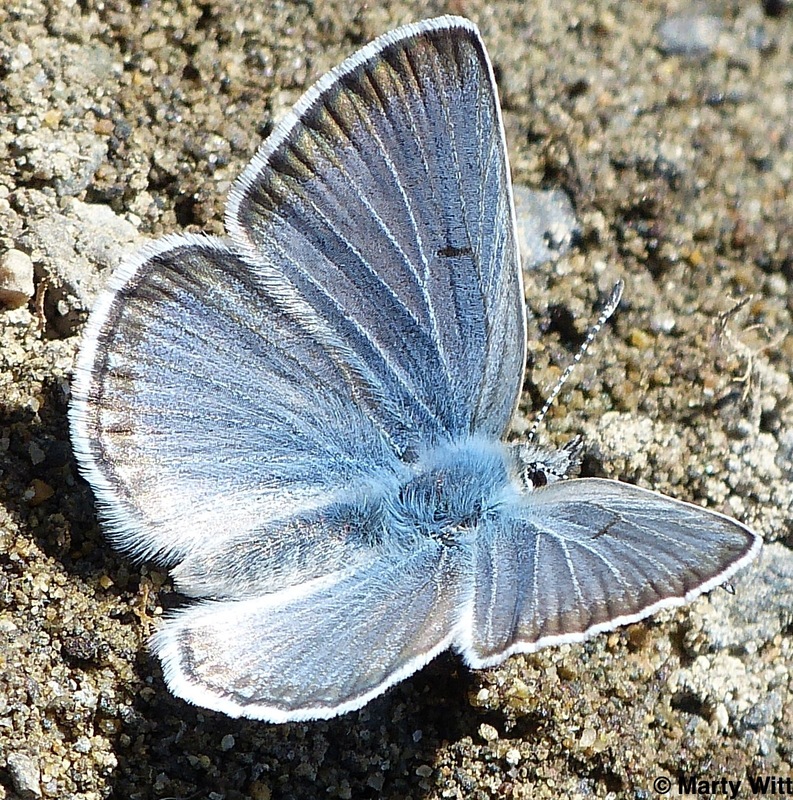 Loss of native grassland habitat and invasion of woody species has restricted the butterfly to 4 areas on the northern tip of the San Francisco peninsula. 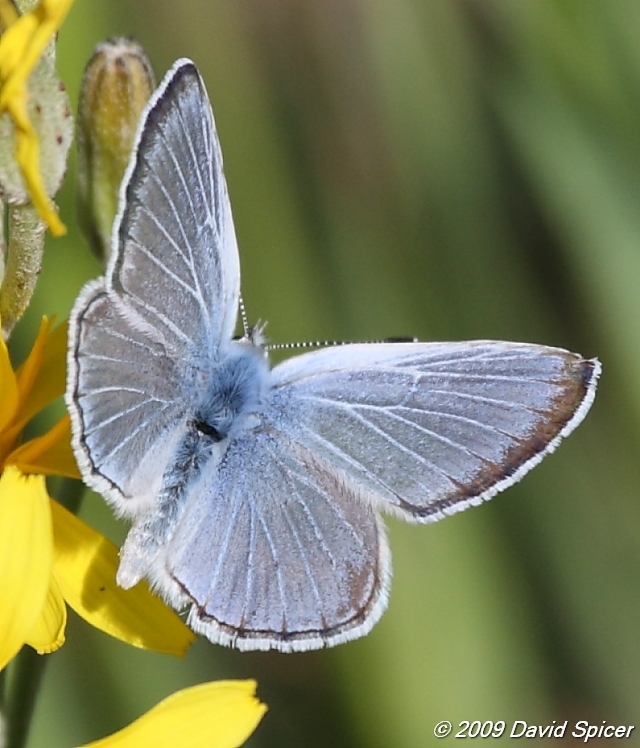 The largest remaining population is protected in San Bruno Mountain County Park, where monitoring of the butterfly population and control of invasive species continues. Plebeius icarioides missionensis has The Nature Conservancy rank of T1 - Critically imperiled because of extreme rarity (5 or fewer occurrences, or very few remaining individuals), or because of some factor of its biology making it especially vulnerable to extinction. 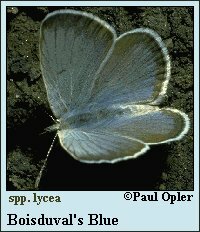 (Critically endangered throughout its range). 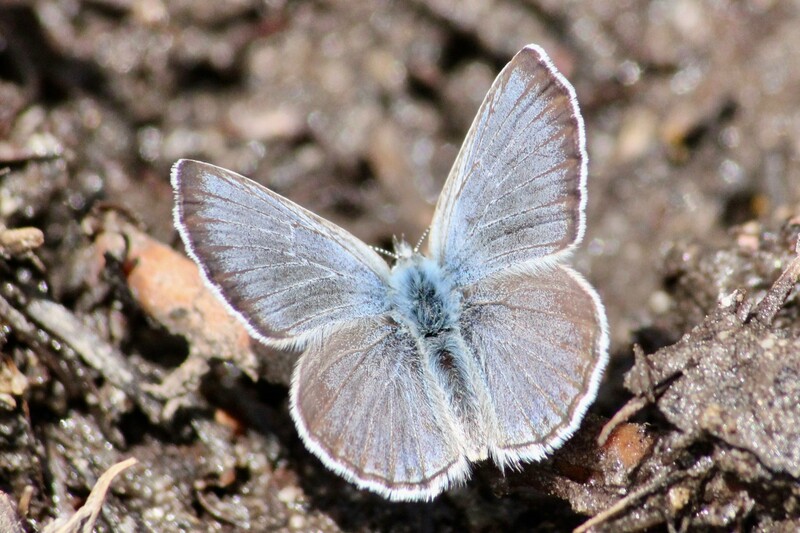 Management Needs: Maintain or improve habitat and ensure adequate host and nectar plants for all rare populations.